Yacht&Smith 5 Pairs of Mens Dress Socks, Colorful Fun Pattern Design, Casual (Assorted I) at low wholesale prices. Socksinbulk.com offers Mens Dress Sock at bulk discounted prices. If you enjoy wearing fun and funky dress socks when dressing up, you will love these snazzy socks for men. Choose from a vast collection of styles ranging from contemporary to classic and everything in between. 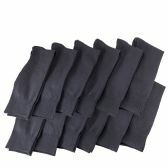 Each pack includes 5 pairs of nifty and stylish mens dress socks for everyday wear. 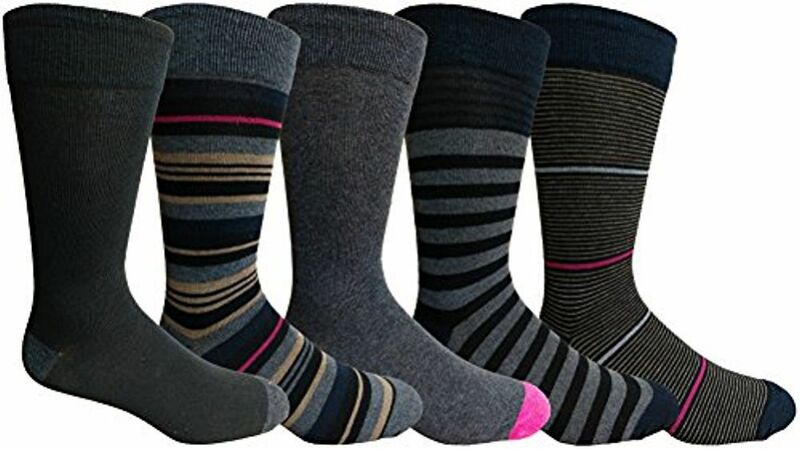 These dress socks can be worn with a wide range of outfits including sneakers, boots, and shoes. Each pair feature a colorful design with patterns ranging from stripes, dots, motifs, camouflage, argyles, to checkers and more. With such a variety of socks, you can choose a different pair depending on your outfit or mood of the day. Perfect as an everyday sock whether you�re wearing it to take a stroll, work, or out to dinner. Dress socks are also ideal for wearing in the winter as they cover more of your legs and gives you a polished look when worn with trousers, pants, or jeans. These dress socks also make a great gift all year round. Yacht&Smith designed their socks to be comfortable as well as fashionable. These dress socks feature a stay-up top to ensure that your socks do not slip off even when in motion. The soft textured surface allows for continued comfort when worn throughout the day making these great for going to work in. These socks were designed to be breathable so that your feet stays cool. SATISFACTION GUARANTEED: Buy with confidence and get a 30-DAY MONEY BACK GUARANTEE. If you are not satisfied with our socks, please contact us and we will respond within 24 hours. Your satisfaction is our top priority. Size 10-13 will fit men�s shoe sizes 8-12 (US). Did you know that the socks you wear says a lot about your character? Our vast collection of dress socks for men has a little something for every man. Whether you�re looking for something energetic or something dynamic, the options are limitless. No matter which pack or packs you end up with, you�ll look dapper in no time. Choose from assorted patterned designs including motifs, stripes, argyles, checkered and more. Dress socks are intended for everyday wear, get a clean-cut look with these stylish designs. 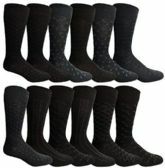 Whether you�re in jeans and sneakers or khakis and boots, accessorize with these attractive socks. Wear them to the office or night out to compliment your outfit. Made to be comfortable, feel the constant relaxation on your feet with these soft and non-abrasive socks. Constructed to stay up even if you�re out jogging, these socks go on and stay on for optimal performance. Being the ultimate multi-purpose and all-season dress sock, they will easily become your go-to socks every day. Size 10-13 will fit men�s shoe sizes 8-12 (US).